US 42 South to Right on Rice Pike to Right on Crayton Way to Right on Twin Hills. Home on Left. MOVE IN READY Interior freshly painted Beige! Amazing ranch floor plan on lake lot! Open & bright! Covered Deck with outdoor fireplace*Finished Lower Level with Large family room, recreation area with bar, bedroom and full bath*3 car side entry garage*3 Full Baths*1st Floor study offers beamed ceilings & paneled walls * Beautiful gourmet kitchen w/island & counter bar. 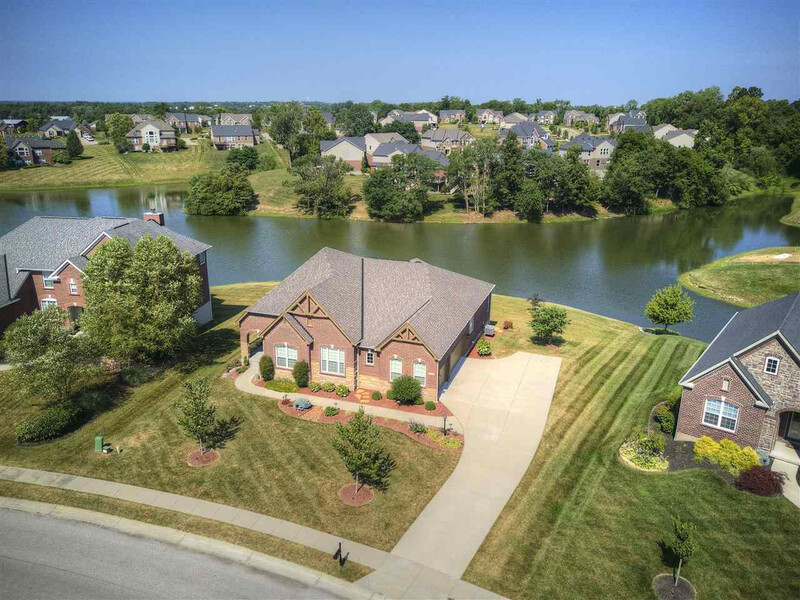 High Ceilings*Beautiful Crown Molding*Domed ceiling in Entry*Beamed Ceilings* 10 Ft Ceilings on 1st Floor*Pocket Door between Master Bedroom and Master Bath*Gas Fireplace on covered deck* Over 4,100 sq ft!